The standing shower has glass on 2 sides and feels open and airy. 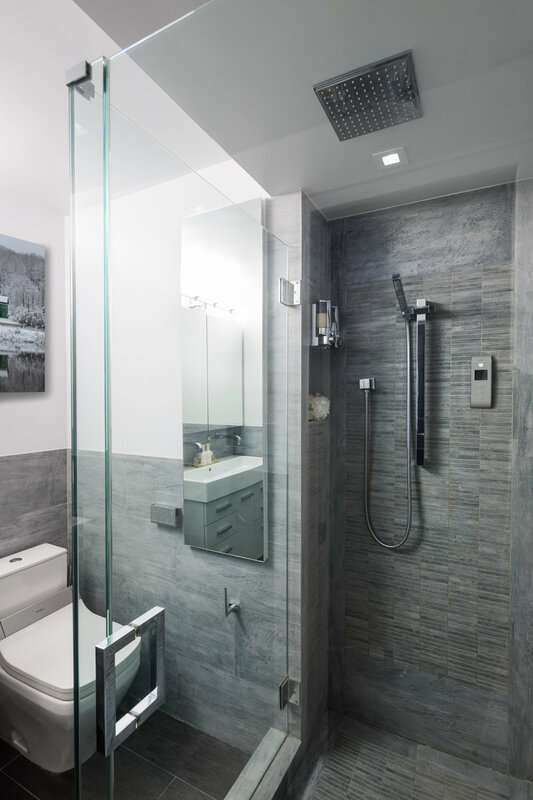 Polished chrome fixtures from Grohe and the large overhead rainshower creates a great bath experience. The built in niche tucked away on the side is a necessity with all the products! The crowning jewel, our double vanity sits atop an elongated furniture sink with double wall mounted faucets. This combination of fixtures was hard to find given our constraints with dimensions. For this bathroom, we had to ensure each fixture and its availability before demolition started as there was literally no room for error. 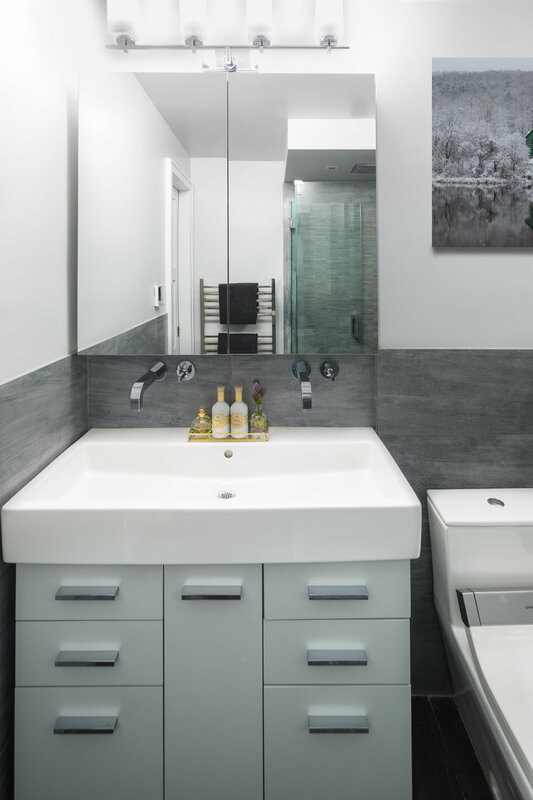 We designed the vanity below to maximize his and hers storage.